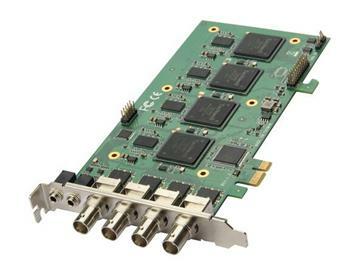 Category：Video Card 4 CH HD signals simultaneously capture with hardware compression..
Support and sdi sd sdi hd. The input video signal up to 1080p/30 Hz. l 4 CH HD signals simultaneously capture with hardware compression..
l Support and sdi sd sdi hd. l The input video signal up to 1080p / 30 Hz. l 4-channel audio signals can be collected. l Microsoft AVStream standard driver supports multimedia streaming video software or software on most Windows.